If you're not using Hyperkeys to edit, we need to talk. Seriously, you do not need to learn the entire Hyperkeys chart that looks like the Periodic Table of Elements. We'll go over the dirty dozen that every reporter should know. Hyperkeys are simply the fastest way to edit, hands down. Julie will walk you through the essential Hyperkeys, provide you with a cheat sheet, just in case you have a short attention span, and then you'll have an exercise to do on your own to make sure you've got Hyperkeys mastered. 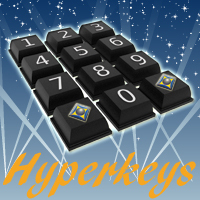 Don’t miss out on this awesome opporturnity if you've been holding off on Hyperkeys! Login to our website is mandatory to access these recordings. Please login and note your username before purchasing to avoid problems accessing the recordings. If you are not currently logged in you can do so at the top left corner of this page. Access will only be available up until the expiration date listed above. It can be viewed unlimited times until it expires. It is your responsibility to view the webinars before the expiration date. No refunds. Internet Explorer versions 7 & 8 are not compatible with some of our videos. We recommended that you use the latest version of Firefox or Google Chrome. If you insist on using Internet Explorer, please make sure you're on version 9 or above. School Instructors, please call (800)800-1759 if you would like to get free access to this webinar recording. Have training certificate? We've got you covered! Purchase by telephone at (800)800-1759. CLICK HERE to view Frequently Asked Questions. Other questions may also be directed to asitraining@eclipsecat.com.